Taking a classic and giving it a new spin, can bit hit and miss. With this dish - we believe it's on point. 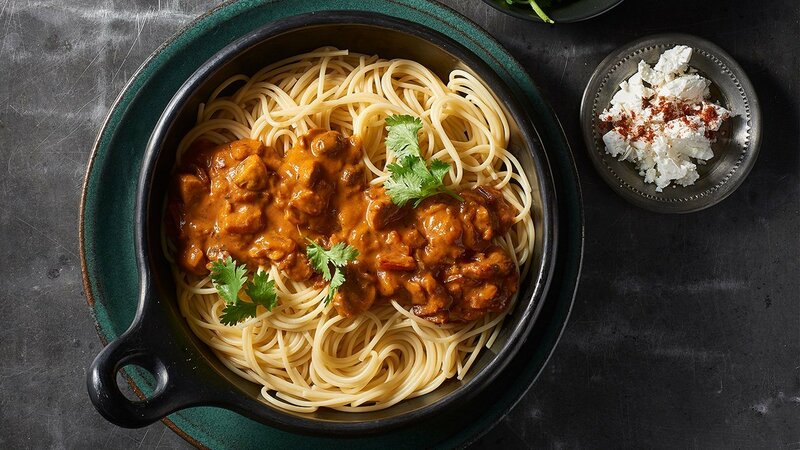 The flavour of the Moroccan sauce mixed with the Italian staple will blow your mind. In a large pot, bring water to the boil add salt and cook pasta until al dente. In a large frying pan, sauté bacon and onion, add mushroom and cook for until softened. Add KNORR Moroccan SauceGFand simmer until thickened a little. Toss through pasta and serve. Spoon mix over the pasta, top with coriander and serve.